Hypertherm plasma cutters use high heat to cut metal materials especially mild steel, carbon steel and aluminium effectively and with speed. When manufactures infuse high-heat technology in a handheld plasma cutter, then you know you have the right equipment for the job. We are interested in your success, especially this new year. Therefore, we have outlined a review that you will find helpful and very valuable. 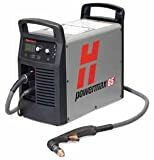 Take advantage of the following Hypertherm handheld plasma cutter list and buy one or two machines depending on the needs of your business or company. The cutters appear here because they are the best in terms of efficiency, durability, and ease of use. Similarly, they come with innumerable advantages that other plasma cutters may not have. We have done our job, and it is now time for you to do yours. Any handheld plasma cutter should be small and light. Arguably, no one understands this fact better than Hypertherm Powermax. 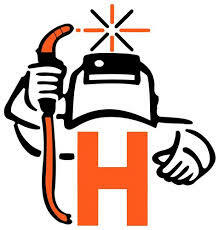 For this reason, the company brings you one of the smallest, yet most powerful plasma cutters today. Its lightweight means you can simply put in at the back of your bicycle and rush from one metal cutting session to another with the speed. You will no longer give excuses to your customers for finishing work behind schedule. Similarly, its small size means that you can keep it in a tiny corner of your workshop or store. This machine is, therefore, a godsend, as many workshops these days are pressed for space. Whether you are a first-time user or a seasoned plasma cutter operator, you will find the patterned drag-cutting technology of the Powerrmax 45 very user friendly. It has an intuitive Powercool functionality that detects heat in the unit’s internal parts and cools them down instinctively. As a serious plasma cutter operator, you will fall in love with its dual-angle design. 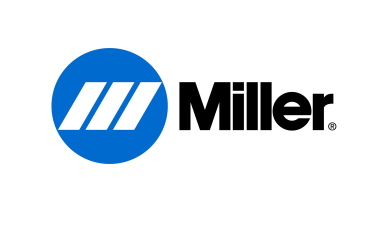 It extends the life of the machine nozzle, while lowering your general operating costs. It weighs 40 pounds and measures 13.8 inches in height, 6.8 inches in width and 13.7 inches in length. One of the biggest advantages of the Powermax 30XP is that it uses compressed air only. This means that you do not have to buy expensive gases to run it. After all, most of these gases are highly explosive. It uses a safe auto-voltage technology, meaning that you can plug it to 120V or 240V of power and operate seamlessly. This two-in-one functionality endears it to many professionals than other plasma cutters. 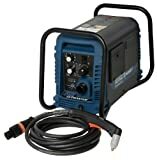 If you require detailed cutting of fine metals, this is the best handheld plasma cutter. The other benefit is that, at 9.8 kg, the machine is very light, hence highly portable. With it, you will increase your business foothold because you are able to serve many clients within less time. You will also benefit from the adapter plugs, cutting gloves, metalworking glasses and a custom carry case that come with the machine. As a serious plasma cutter operator, you need a machine with front panel LED indicators to show you the status of your working conditions. This is exactly what this Plasma System provides in addition to its multi-voltage (208 – 480V) functionality. It has a very efficient TrueGuard roll bar that gives you easy transportation, as well as protection of the machine from external impact. It is one of the few handheld plasma cutters with a storage compartment. Here, keep your consumables, spare parts, and accessories. It measures 26 inches in length, 15.3 inches in width and 24 inches in height, and weighs 43 pounds. As it does not require batteries, use it for cutting different metals of varying thicknesses. Just as the name suggests, the machine is a handheld plasma cutter. It builds on the gains of the previous version, the Hypertherm Powermax 100. For example, it has more perceptibility to thermal heat and better adaptability to sudden low power voltages. Take advantage of the 4 different work lead styles to cut different materials of metal, including, steel, copper and aluminium. It comes with a hand torch that is 25feet long, a power supply, and a 25-feet power cable. Although it is not the lightest, its 65-pound construction packs interesting capabilities. The machine measures 17.9 inches in length, 9.2 inches in width and 17.9 inches in height.